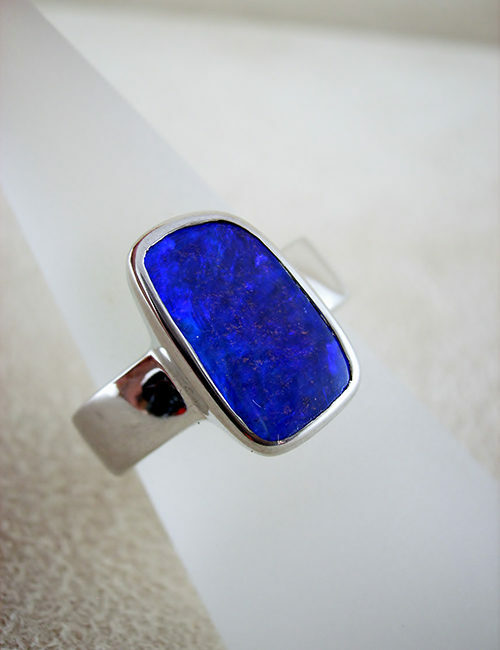 This Opal ring has a uniquely patterned solid Boulder Opal matrix stone with splashes of electric blue /green sparkling from within the highly polished ironstone. 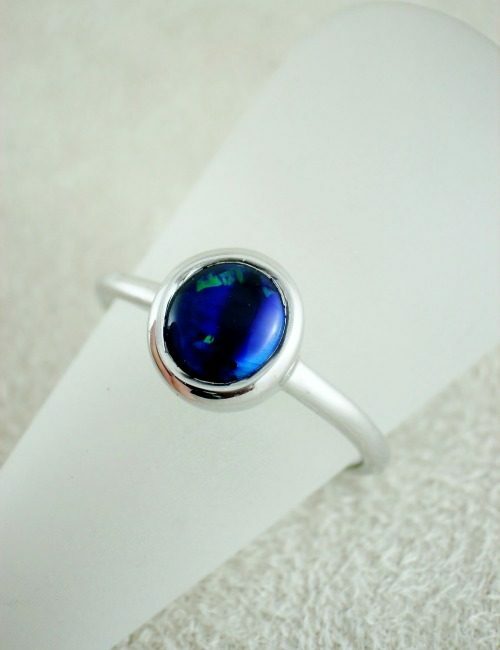 The matrix opal measures 14mm x 5mm and is set with a 5mm wide anti tarnish sterling silver band. 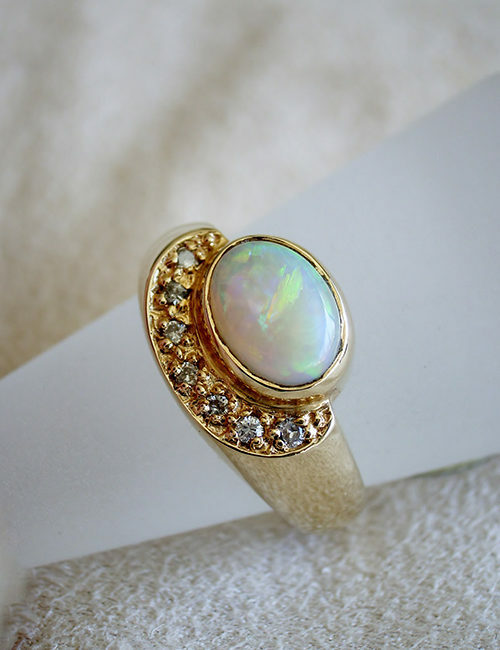 The ring is a size 10.